Got a MINI Cooper S GP JCW R53? Or just a GP intercooler on your R53? 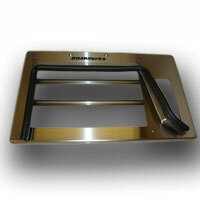 Now we finally have a better intercooler diverter for you. The stock GP intercooler diverter is pretty sad, it actually covers the additional 2 rows and doesn't catch air very well. So seeing this problem and that the stock cover costs over $200 Way Motor Works combined forces with DDMworks to design a larger diverter that would catch more air, be more efficient, look better and cost less. So after months of work here it is. More cold air equals more power. 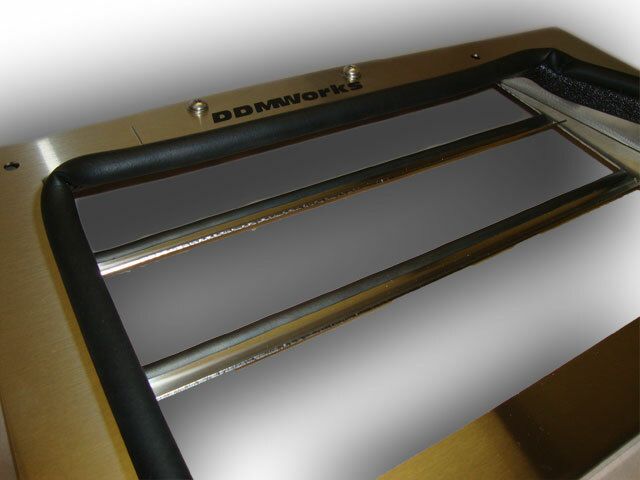 The DDMWorks Intercooler Diverter does just that. The ICD diverts more air from the bonnet scoop. This diverter has 3 blades to direct the air through the intercooler, and these 3 blades are all at different angles so the front one doesn't steal from the next. Also this diverter is made from Stainless steel, meaning it won't rust. We've seen other brands have the coating crack and rust making them look really bad. This diverter seals to the stock plastic diverter mounted on the hood.